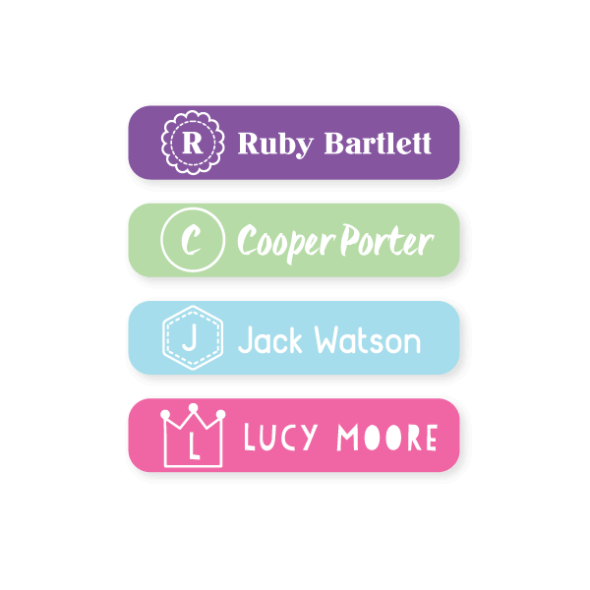 Our small Personalised Name Labels are a great size for the kids for school, particularly as they get older and prefer a discrete labelling solution. 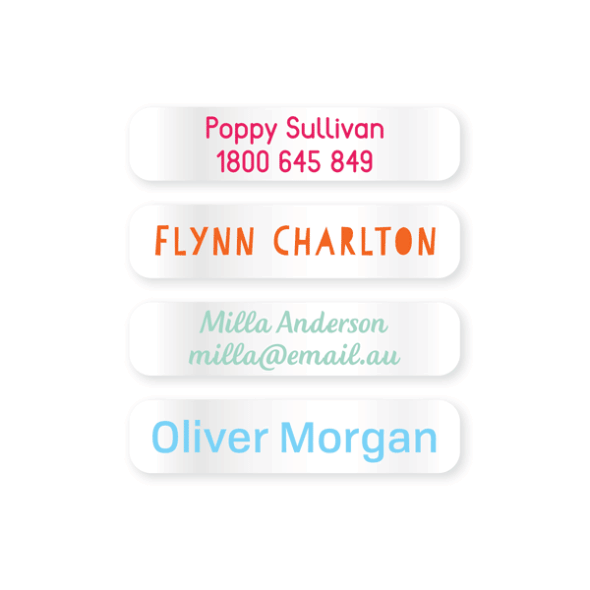 Perfect for stationery and containers, small labels are the perfect combination of style and practicality. 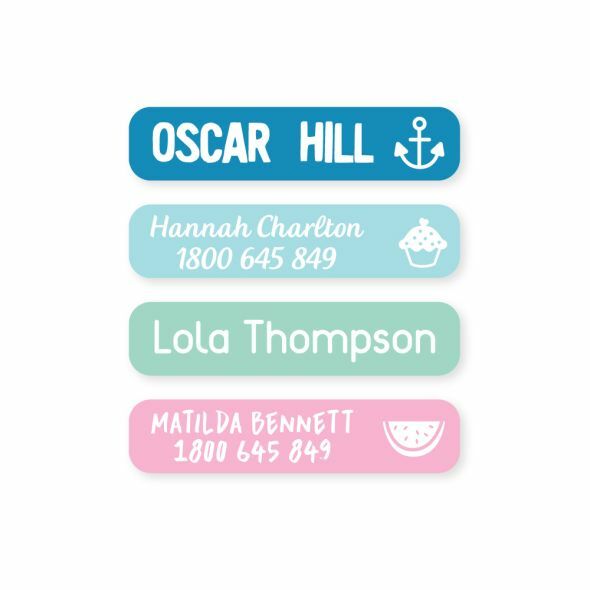 Small Personalised Labels help keep toys and story books labelled easily and discretely so nothing gets mixed up on playdates or at show-and-tell. They're also a great solution to differentiate snacks in the pantry or fridge. Stickers are high quality but smaller than I expected so it is a bit disappointing. Fantastic products and speedy delivery. Love the smaller sizes, added to bottles for my baby. On my latest order, the colour of my labels was a little too dark - I was expecting more pastel colours and they turned out much deeper. Also the text not that clear. I still love the service and will use it again, I'll just chalk this one up to experience. Designs and colours were great. Lots to chose from. Great quality product that actually sticks! Labels look great and were easy to use!